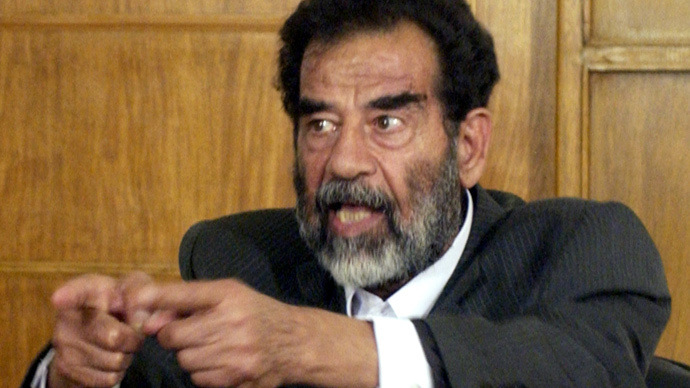 As Iraqi dictator Saddam Hussein was building up its chemical weapons arsenal with the help of a British firm, Margaret Thatcher’s government decided not to oppose it, fearing that otherwise it would be subjected to criticism. In the 1980s Iraq, which was engaged in a brutal war against neighboring Iran, was seeking to boost its manufacture of chemical weapons. It succeeded, and numerous attacks resulted in estimated 50,000 Iranian deaths during the war and extra 50,000 deaths from prolonged effects of the weapons. Iran, for its part, was never reported as using chemical weapons in the conflict. The disparity was a major factor in swaying public opinion against Baghdad. In 1983, the British government learned about Saddam’s effort to produce mustard gas, but chose not to hamper it, partially because a British firm was involved, according to previously classified Foreign Office documents released this week to the National Archives in Kew, west London. The company, Weir Pumps, supplied a number of pumps to an Indian contractor, which built a chemical plant in Iraqi Samarra. The plant was used to produce mustard gas, although the supplier ostensibly believed that the pumps would be used to make pesticides. The Foreign Office considered whether it was “feasible” or “desirable” to act on the intelligence and hamper the Iraqi chemical weapons program. But it decided against taking any action, according to a memo. The document cited a lack of an international ban of production and stockpiling of chemical weapons and Iraq’s advancement toward having a well-developed chemical weapons industry among the reasons. “Britain alone could take limited action to control exports, but this would do little good. Global action might eventually be effective but would probably require public presentation of our evidence and would be very slow. Given that the Iraqi programme is already far advanced, I am sceptical about the feasibility of effective action,” the letter said. The Chemical Weapons Convention, which bans the production, stockpiling and use of chemical weapons and precursors, did not come into force until 1997. The Geneva Protocol of 1925 did ban the use of chemical weapons in international conflicts with possible reservation for responding to a chemical attack with chemical weapons. Britain’s public image was also on the line when the decision was taken, because of Weir Pumps’ involvement and a wider record. “Caution may be in order, since our own trade in CS gas has not escaped criticism,” the memo said. The crowd control CS gas remains a controversial agent, with some scientists arguing that its toxicity is too high to classify it non-lethal. Britain extensively used the chemical during anti-riot action in Northern Ireland in 1979, drawing some international criticism. The Foreign Office contemplated rallying its allies, including the US and France, to respond to Saddam’s chemical weapons build-up. The effort, however, never materialized. In 1985, the Thatcher government provided insurance guarantees to a British subsidiary of a German firm, which built a chemical plant in Fallujah. The UK government suspected that the plant would be used to produce mustard gas. Iraqi clandestine production and stockpiling of weapons of mass destruction was the prime justification of the US-led invasion in 2003, of which UK was a strong advocate. The alleged weapons were never found, because by that time Baghdad had destroyed its stockpiles due to international pressure. The evidence to the contrary presented by Washington proved to be overstretched and erroneous.